1MDB plans to bluild 10,000 affordable housing units in the Klang Valley in the next 10-15 years. 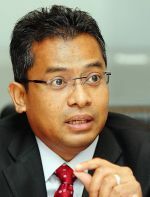 PETALING JAYA: 1Malaysia Development Bhd (1MDB) will kick- start the development of the Bandar Malaysia project in Sungei Besi with the launch of affordable housing units within the next one to two years, said senior vice-president, of planning, development and real estate, Juraimi Azahar Taharin. 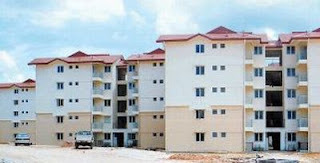 Juraimi said the 1MDB affordable housing concept, complete with a prototype unit, would be unveiled soon to seek input from the public as part of its information gathering exercise to find out the facilities that were needed to best serve the target buyers. “One of the purposes of this feedback exercise is to align the developer's plan with what the market requires. What we have in mind is to build housing units of between 800 sq ft and 1,000 sq ft at an estimated price of RM220,000 to RM300,000. Both are subject to the findings of the survey,” Juraimi told StarBiz. Juraimi says a protype affordable housing unit of Bandar Malaysia will soon be unveiled to the public. He said 1MDB's affordable housing programme was aimed at providing modern and quality affordable living in the city for young families. “One of the key focus will be on sustainable development and facilities for child care and transit centres for the young and older children,” he said. He added that 1MDB was working with PRIMA for its affordable housing schemes, and was looking to build 10,000 affordable housing units in the Klang Valley over the next 10 to 15 years. The locations for the housing projects are currently being finalised, but one of the main criteria is that they have to be in areas that have easy accessibility and connectivity. The scheme is open to all Malaysians with household monthly income of less than RM6,000 and they are buying their first house for their own occupancy. 1MDB is a government-owned master developer for the redevelopment of the 495-acre Bandar Malaysia in Sungei Besi, which used to be the base for the Royal Malaysian Air Force (RMAF). The developer signed a sale and purchase agreement in June with the Federal Land Commissioner for the transfer of the 495 acres of Sungai Besi airport land to 1MDB. The mixed development project with livability and sustainability as its distinctive characters, aims to be a new and vibrant landmark that reflects the aspirations of a Greater Kuala Lumpur. 1MDB is working with the Malaysian Institute of Planners in organising an international master planning design competition for Bandar Malaysia that is open to local and international urban planners. The key principles to be included in the plans are planning and design; ecological footprint; infrastructure; diverse housing solutions; transportation; open space, parks and green density; innovation in land structure; urban solutions; technology; history and culture. The result, expected to be announced in July next year, will be the basis for Bandar Malaysia's urban planning. Juraimi said the priority was to ensure the relocation process of the RMAF base went on smoothly. The relocation process will be done over several years in several phases. 1MDB has to ensure that RMAF has an appropriate place to move their assets and operations, as well as they are comfortably functional at the new location. “Discussions with regards to the relocation is on-going with the help of Malaysian Armed Force Fund Board and areas such as Subang, Sendayan, Butterworth as well as Kuantan have been identified for the purpose,” he added. Sunway Bhd has acquired two parcels of land in Medini Iskandar, Johor, through a joint-venture (JV) vehicle with Khazanah Nasional Bhd. In a statement today, Sunway said the 276.4 hectares, with an estimated gross development value (GDV) of RM12 billion, were acquired for RM745.3 million. Sunway said it has formed a JV company, Semerah Cahaya Sdn Bhd, with Khazanah's unit, Dayang Bunting Ventures Sdn Bhd. "The company will be principally involved in conceptualising, managing, implementing and developing the said land. "Sunway currently holds 38 per cent in the JV but will increase it to 60 per cent within 54 months from the date of the lease purchase agreement," it said. It said with the acquisition, the company would have 302ha of development land in Johor, in addition to the existing land at Bukit Lenang, with estimated total GDV of RM13 billion. Sunway chairman, Tan Sri Jeffrey Cheah Fook Ling, said the land acquisition was in line with the company's strategy to continue extending its expertise in building and managing integrated cities. "We want to replicate this expertise in Johor and develop an iconic development which will capture the local, regional and international market segments as we have done with our integrated developments," he said. He said the project was expected to contribute positively to Sunway’s future earnings and cash flow by 2013. DRB-Hicom Bhd has short-listed several leading developers from Asia and Europe for the development of Rebak Island in Langkawi. In a statement here today, it said the development of the island would push up Rebak Island's name to be on par with other famous island resorts in the world. It will directly position Langkawi as not only an attractive destination in terms of its natural beauty but also its offer of a unique luxury holiday resort catering to the elites of the world, it said. DRB-Hicom Head of Property, Asset and Construction, Zamri Yusof, said in order to ensure that there is extensive marketing for the development of the island to both domestic and foreign investors, the existing land title status would have to be changed from the Malay reserve status. He said the company's collaboration with leading property developers will provide DRB-Hicom the opportunity to work with them and share their expertise and experience. "In fact, DRB-Hicom is in the final stages of getting approval for the conversion of the land status prior to presenting it to the Kedah state government for approval," he said. Hong Kong luxury home rents, which fell last quarter for the first time since mid-2009, may slump 10 percent next year as banks and hedge funds scale back amid the threat of a global recession, according to brokers including Jones Lang LaSalle Inc. and Colliers International. “We’re definitely at that tipping point,” said Anne-Marie Sage, Hong Kong-based head of residential leasing at Jones Lang, the world’s second-largest commercial brokerage. KUALA LUMPUR: City Hall (DBKL) will allocate RM84.1mil next year to tackle flash floods, Mayor Tan Sri Ahmad Fuad Ismail said. Of the amount, RM10.35mil will be from DBKL, RM10mil from the 10th Malaysia Plan allocation, RM4.25mil from the flood mitigation allocation and RM59.5mil from the Greater Kuala Lumpur/Klang Valley allocation through the "River of Life" programme which will give a new breath of life to the Klang and Gombak rivers. "DBKL expects the main challenge for us will be to tackle the flash flood which causes damage to properties and threatens lives," he said when tabling DBKL's 2012 Budget. He said several plans were being drawn up to tackle the problem especially at Jalan Tun Razak, among them by creating a diversion to divert the water from Sungai Bunus to Titiwangsa Lake before channelling it to Sungai Gombak. Two retention ponds at Air Panas and Setapak Jaya would also be upgraded at the cost of RM20mil to slow down the flow of waters into Sungai Bunus, he said. The Department of Irrigation and Drainage was preparing a working paper for the purpose. Ahmad Fuad said DBKL also planned to develop housing areas to address the squatter problem and provide 1,620 units of affordable houses, proposed for construction in Kampung Wira Jaya and Setia Jaya in Setapak, Indian Settlement in Kampung Pandan and Sungai Udang in Segambut. DBKL will also allocate RM96.75mil to repave 33 main roads over 118.71km as well as public roads and streets with a combined length of about 2,000km. "This includes repairing roads, drains and dangerous intersections," he said.